Since the 1990s, the opportunity to produce complex shapes and curves while maximising visibility has been exploited by car designers. 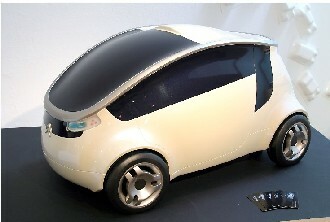 Advanced glass shaping techniques offer vehicle manufacturers greater freedom to achieve their styling concepts. Automotive designers and engineers demand continuous advances in vehicle glazing systems to meet requirements for improved visibility and safety and better aerodynamics. They increasingly recognise glazing as an essential element of the curves and angles that help define the style and character of their vehicles. Pilkington Automotive works closely with stylists and engineers in the very earliest stages of new vehicle development. We help customers ensure that their vehicle glass reflects the unique design characteristics they seek, whilst at the same time helping to define optimal performance and manufacturing specifications for the glass components. Windshield design is focusing on increasing driver visibility and the glass area in one of two ways; extending the windshield into the roofline (Cielo design) or by wrapping the windshield into the side of the vehicle (Panoramic design). This provides a challenge for the glass manufacturer to make windshields that continue to meet tighter specifications for optics, shape, windshield wiper performance, water management and noise control. Pilkington Automotive has the capability to help car designers bring concepts involving complex shaping to reality. Rear glazings are following a similar trend to windshield trends. Designers are working on an increasing number of Panoramic rear glazings with rear glazing wrapping in to the side of the vehicle, or side glazing wrapping into the rear of the vehicle.